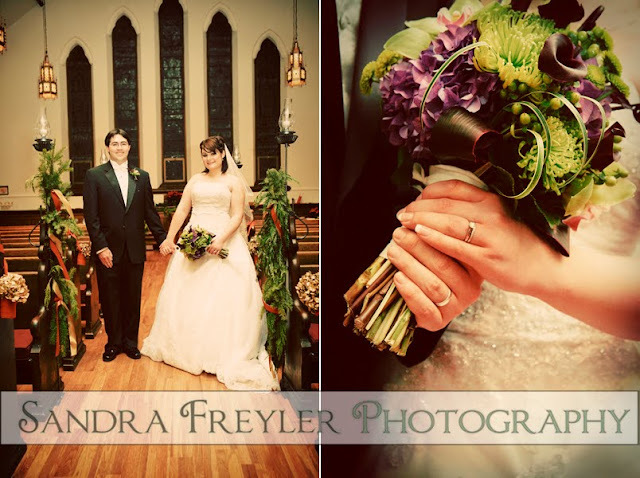 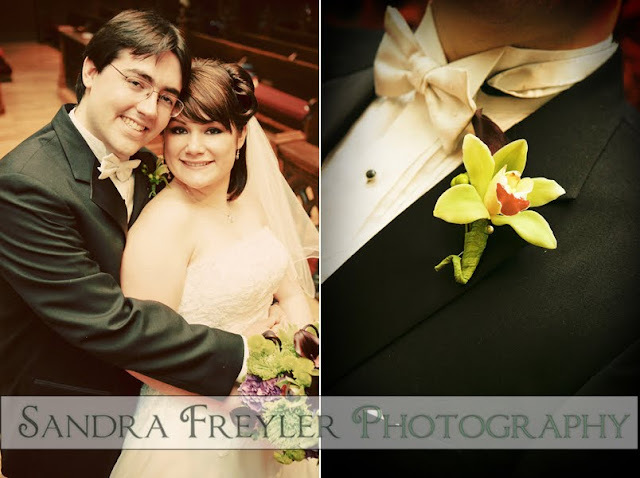 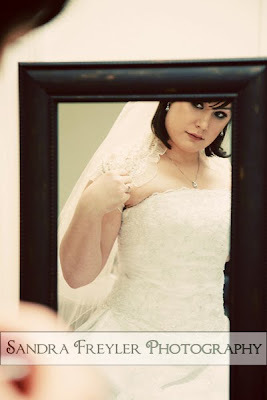 Amanda and Doug's wedding and reception took place at a beautiful historic church-Calvary Episcopal in Clifton. 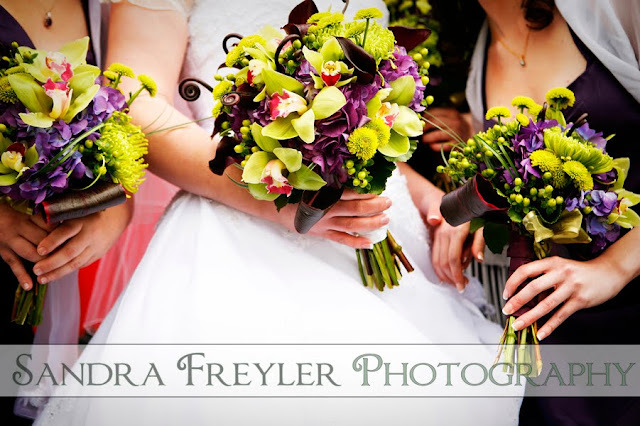 Amanda chose one of my favorite combos in colors of bright greens and eggplant. 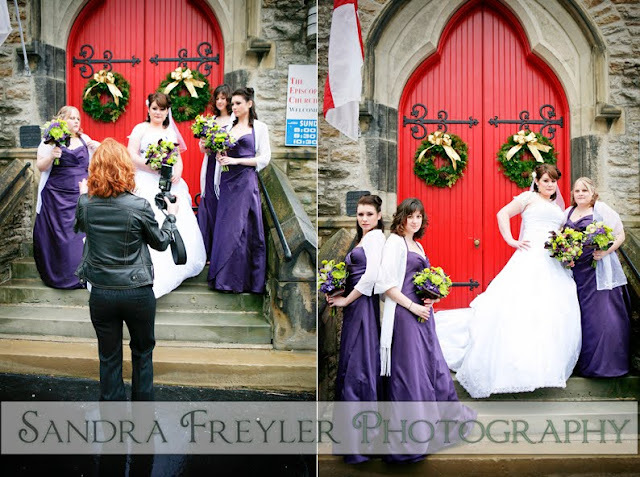 Great colors for a non-traditional winter theme. 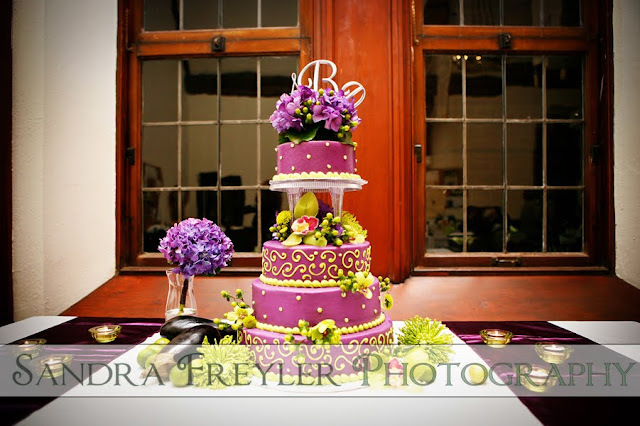 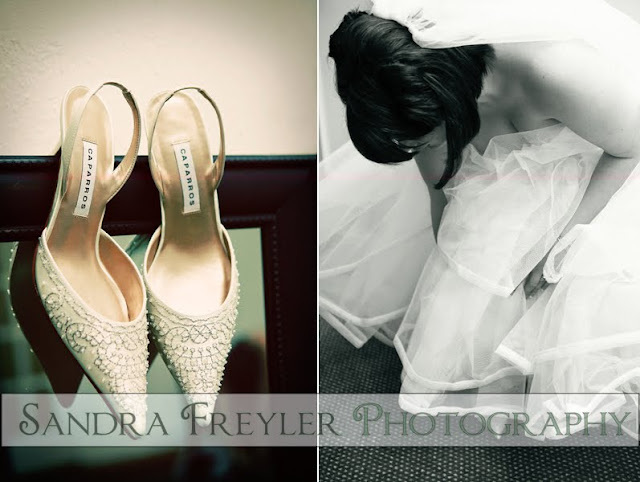 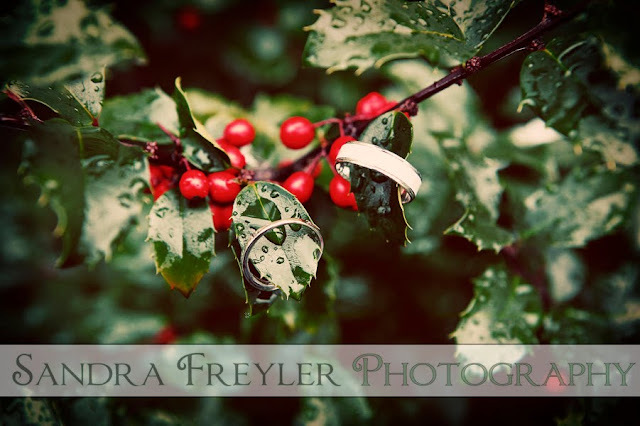 Thanks, Amanda for sending me these great shots by Sandra Freyler http://www.sandrafreylerphotography.com/. 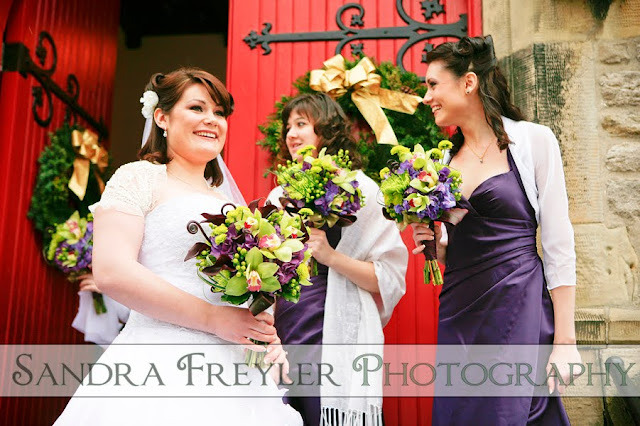 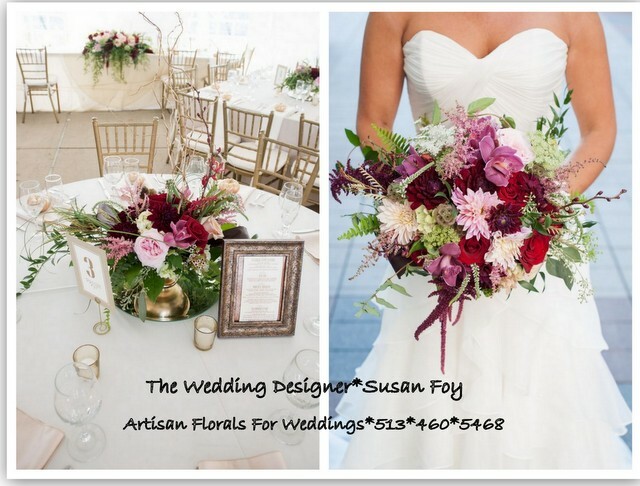 The bouquets were a whimsical mix of purple hydrangea, green cymbidium orchids, purple mini callas, fern curls, green hypericum berry and fuji mums collared with red ti leaves and bear grass loops. 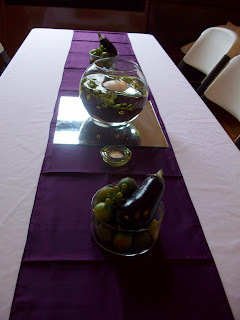 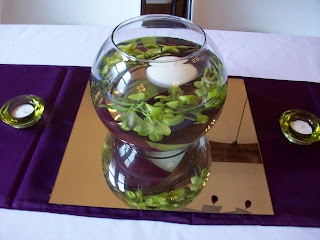 Amanda's centerpieces reflected her colors using green dedrobium orchids swirled in bubble bowls with accents of side pieces in fresh mini eggplants and keylimes.